What is it that connects a very old and respected Crieff family with a former President of the United States of America? This is not a question that you will find in any quiz books, and of course it is not something that is widely known. Nevertheless, such a connection does exist and makes for a fascinating story. In 1841 a 19-year-old working class youth from Crieff, Perthshire, Scotland, by the name of David Jack, decided to leave his hometown and sail for the brave new world of the United States of America. For a number of years he worked and resided in New York on the east coast of that great burgeoning country. He gained work at the US Army establishment of Fort Hamilton as a clerk to a wheelwright and quickly gained a reputation for being able to handle money. It was around this time that young Jack made the acquaintance of Robert E. Lee the future American Civil War Confederate Army General, who at that time was a Captain at the Fort. He also met a young man by the name of James Clair Flood, a tradesman working for the same company as Jack, and who will feature later in this story. In 1848 news began to filter through from California on the west Coast, about a gold strike in the northern part of that State, and both Jack and Flood decided to make their way there to try their luck. Jack set off on a perilous journey in an army ship around Cape Horn arriving in San Francisco in 1849, the journey taking 138 days. Jack abandoned his interest in going to the Gold Mines and found employment gathering taxes at the army Presidio in San Francisco. A business trip took Jack to Monterey, the former state capital, but since the Gold Rush a sleepy coastal town. He liked what he saw in Monterey and moved there in 1850. Jack’s talent in handling money was also recognised in Monterey, and by 1852 he was county Treasurer. Jack along with his east Coast friend James Flood began a money lending enterprise loaning money to the indigent Mexican population and charging interest on the loan. These loans were often secured on land granted to Mexicans by the former Mexican Government and Jack often had to foreclose on loans that were not paid off, thus securing title to many acres of land. The Mexicans were also lax in paying their land taxes and the law at that time stated that after a set period, tax delinquent land could be sold off to others. As the county Treasurer, Jack was ideally placed to follow these sales and make his bid. By this and other shrewd and sometimes controversial means, Jack secured title to many thousands of acres of land, eventually becoming one of the largest and richest landowners in California. Jack and Flood also speculated on the Mining Exchange in San Francisco buying shares in the silver mines of the Nevada Comstock Lode. James Clair FLOOD went on to become one of the fabled ‘Silver Kings’, and with his other business partners, William O’BRIEN, John MACKAY, and James FAIR, his mining company struck a massive deposit of silver ore in the Nevada Comstock, making the four men multi-millionaires, and among the richest men in the world at that time. Indeed, it was this silver strike that largely financed the development of San Francisco into the metropolitan city it is today. David Jack married and had seven children, five girls, Louisa (known as Lee), Margaret, Mary, Janet, and Vida, and two boys Will and Romie. While his family were growing up in Monterey they made the acquaintance of a young woman by the name of Lou Henry, the daughter of a local bank treasurer. Lou had moved from Iowa to California with her family in 1885 eventually settling in Monterey, where her father Charles Henry helped set up a local Bank. 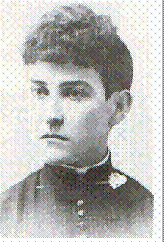 She initially attended Los Angeles Normal School in 1891, but transferred to San Jose Normal School in 1892 where she received her teaching degree. Lou taught in Monterey for a while and at one stage was a private tutor to Vida Jack who was lame as a child. Lou Henry was closely associated with the Jack family. She was particularly friendly with Romie Jack and the two enjoyed fishing trips and horseback rides together. The closeness of their association is highlighted in this letter Romie wrote to her when he was at school in San Rafael. I have just received your letter. I am sorry but my school does not close until June 7, so you would have to wait over two weeks for me; Could you wait that long? I have ten days at Easter, couldn’t we do something then? Trout season will be open and we could go down to the Little River or some such place. I expect to spend the first part of my vacation in Monterey, but I want to spend a part of it somewhere else. I am very anxious to go to Yosemite this summer, but I don’t know whether I can or not. I would like to go to Monterey in April while the Knights of Pythias are there. It will seem kind of funny to see the town with a little bit of life in it. I will address this letter to the University as I suppose you still go there for your mail even if you do live in the City of Palo Alto. I have been riding my bicycle a good deal lately, a week ago last Saturday I rode from here to Petaluma and back. It is about twenty-five miles to Petaluma, so I made over fifty miles going and coming. I am writing this at night and I can only see about every other word and I can’t tell till I get to the end of the page whether the lines are straight or not, and if you can’t read it send it back and I will translate it for you. “The morphine didn’t put Peter to sleep. He sat hunched in the corner, breathing heavily and staring at the floor. “Who’s going to stay with him?” The doctor asked. “Miss Jack?” to the nurse. Lou Henry attended a lecture at Stanford University by Professor J.C. Branner, a well-known geologist at the establishment. The lecture impressed her greatly, and afterwards she approached and explained to him her love of the outdoors and her wish to study geology; a subject not pursued by women at Stanford at the time. She subsequently enrolled in the Department of Geology at the university and became the first woman to major in the subject there. At Stanford, Lou met future President Herbert Hoover, who was a senior assistant of Dr. Branner. Hoover was a pioneer student at Stanford, being a member of its first graduating class. Lou and Herbert found they had much in common. They had been born within 100 miles of each other in Iowa, were both Geology majors, and like Lou, Herbert had a love of fishing. The two got to know each other well during various field trips and romance blossomed. Lou completed her degree in 1898. Whilst she studied for her degree at Stanford, Herbert gained employment with the British mining company in Australia and was sent out there to work. After her graduation from Stanford, Lou returned to the family home in Monterey where she received a cabled proposal of marriage from Herbert. She accepted and Herbert travelled back to Monterey from Australia, via London, to marry her on February 10, 1899. They embarked almost immediately on a trip to China where Lou put her geology degree to good use assisting her new husband by mapping the parts of China he would visit, researching mining laws, assisting with reports and visiting mines. Herbert HOOVER entered politics and in 1921 the couple, who now had two sons, Herbert Jnr. And Allen Henry, moved to Washington D.C., where Herbert became Secretary of Commerce. In March 1929 he succeeded Calvin Coolidge and became 31st President of the United States of America, Lou becoming First Lady of the country. However, only seven months after his inauguration, the stock market crashed and the depression years followed. Rightly or wrongly, Hoover was largely blamed for this crisis, and he served only one term in office before being succeeded by Franklin Delano Roosevelt. Following his presidency, Hoover became associated with another great American institution, The Huntington Library and Art Gallery, and served on the Board of Trustees of that establishment. Also serving with that institution as Chairman of the Advisory Finance Committee, was one Allan C Balch, who just happened to be the husband of family friend Janet Jack. Balch was also President of the Board of Trustees of the California Institute of Technology (Cal Tech), another great American institution, from 1933 to 1943, and he and his wife Janet donated millions of dollars there. David Jack was the inventor of 'Monterey Jack' cheese which was named for him. 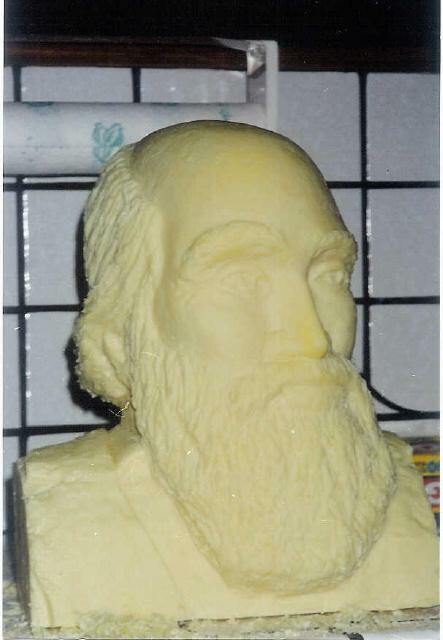 This is an image of him carved in cheese. Courtesy of the sculptor Sarah Nep. Many of those involved as trustees of The Huntington Library and Art Gallery were also trustees of Cal Tech, and Balch and his associates were prime movers in the development of both these institutions, which effectively existed as a result of the confluence of distinguished scientists and rich business tycoons. Science luminaries such as Albert Einstein, George Ellery Hale, and Edwin Hubble (Hubble Telescope) were involved with Balch, Hoover, and their various business associates in these endeavours. Allan Christopher Balch had worked in the Jack family business for a time before borrowing money from David Jack and branching out on his own. He was an engineering graduate and along with business associates William G. Kerckhoff and Henry E. Huntington, became a major player in Southern California business history, and a pioneer in Hydro Electric Power as well as other public utilities, particularly around Los Angeles. Balch was a 32nd degree Scottish Rite Freemason, a member of the York Rite, and of the Masonically-related, Order of the Nobles of the Mystic Shrine, Al Malaikah Shrine in Los Angeles; which famous actors including John WAYNE would also belong to. He was also a member of the elite Pacific Union Club which coincidentally was based in the former home of aforementioned James Flood, in the Nob Hill District of San Francisco. Balch and President Herbert Hoover were also members of the Bohemian Club, a controversial and very influential group of politicians and businessmen from around the globe; founded in 1872 and which is headquartered in San Francisco. The Club holds annual outdoor gatherings at what is known as Bohemian Grove in Northern California, and it is said that every American Republican President since Herbert Hoover has been a member. Balch was a member of ‘The Lost Angels’ camp, and Hoover a member of the ‘Cave Man’ camp. 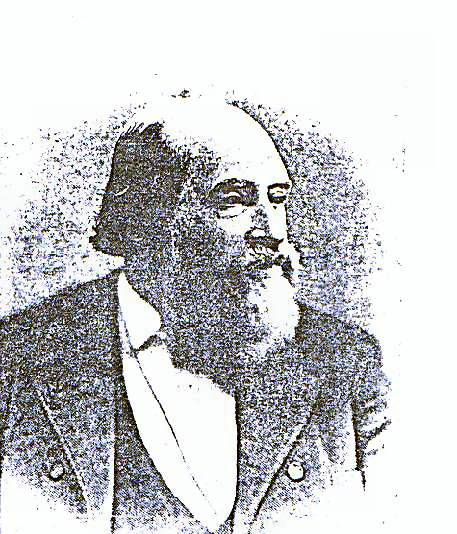 California State Governor Hiram Johnson.